Quickly and accurately detect microorganisms in a broad range of food and environmental samples with Thermo Scientific SureTect Real-Time PCR System. MicroSEQ Pathogen Detection kits offer maximum ease of use, reliability and consistency of results. The reagents in these kits are lyophilised into preformatted assay beads. The beads hold the active enzyme, the target-specific primer and probes set, Internal Positive Control (IPC) and other reagents for PCR and no mixing is required. 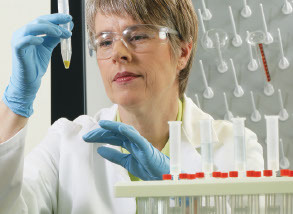 Our TaqMan Pathogen Detection Kits are based on universal assay conditions. You can run any combination of these assays together in the same sample run to test for multiply pathogens. Unique, reliable detection and quantification of species DNA. The RapidFinder ID Kit detects mitochondrial DNA in food samples. The Hygiena™ BAX® System offers the accuracy and speed of advanced PCR technology in a format that is safe and simple to use and ideal for routine food testing laboratories.